Top Eight Most Trending Halloween Ideas of 2017 that you must follow and also see halloween couple costume ideas. For some people, Halloween is just a holiday but for us, it's a freaking lifestyle! As kids are happy for all the candy treats they're going to get, the adults are even happier and the reason is we can finally dress up as the character we've been obsessed with for so long. Be it one of the characters from epic series Game of Thrones or Beyonce's gorgeous gown flaunting her baby bump, they all give us some serious Halloween inspiration and ideas. We all know how passionate you guys are about Halloween and keeping that in mind, we've gathered top eight trending Halloween costumes for 2017. Gear Up! If you are running out of time and haven't prepped for this year's Halloween, then Sia might be your ticket to Halloween. All you need is a quirky hairstyle, perhaps a half black and half blonde wig which is available almost everywhere and an edgy outfit that looks comfy yet cute. What say? You can top it off with a giant bow or a hat and a jacket too and as most of your face is hidden, you don't need long hours of makeup!! A red lipstick would do the job. Dead Pool played by actor Ryan Reynolds was one of the biggest hits of that year. The costume has become a mainstream for every costume party and comic-cons so why not for Halloween? This costume would definitely make you feel like the Marvel's entertaining superhero. You can consult a good tailor and make the mask, Zip Up Hoodie, Jacket, Sword Back Pack, and Boots OR you can order them online. This costume would definitely make you feel like the Marvel's entertaining superhero. You can consult a good tailor and make the mask, Zip Up Hoodie, Jacket, Sword Back Pack, and Boots OR you can order them online. And if you are a DIY digger then check out this video below. A couple costume is quite tricky on Halloween because you must go with the theme and look fabulous and spooky. So, the best costume for you and your partner would be a classic Vampire costume and believe us, it's really fun to make. You can start with fake blood, dramatic makeup, fake fangs, a cloak for men and gown for women. The best part of this theme is you have lots of choices such as Twilight theme, Count Dracula, Gothic Undead, Victorian Vamp and so on. Halloween is just around the corner and if you're a big fan of movie Guardian of Galaxy, Groot will definitely take your Halloween to the next level. You might want a costume expert as it requires certain skills. For the rough tree exterior, tissue paper soaked in water and glue or cardboard box can be used, glued onto an inner suit and later painted with acrylics. You can also paste some moss over the mask and add other details to make it look more realistic. Let's admit! We can't get enough of this teen murder-mystery series and dressing up as the River Dale gang is like a dream come true for all of us! The main characters- Archie Andrews (KJ Apa), Jughead Jones (Cole Sprouse), Betty Cooper (Lili Reinhart) and Veronica Lodge (Camila Mendes) all have a distinct clothing style and you can easily carry it off as most stuff might already be in your closet! So guys, get your BFFs and decide which character you want to dress up this year's Halloween. Season 7 of Game of Thrones ended with a bang and White Walkers have become a win-win for this year's Halloween theme. All you need is a handful of products like Bald Cap, Medieval King Costume, Alien Horn Stem, Blue Contact lenses, makeup kit, Voldemorts Hands and a crown. 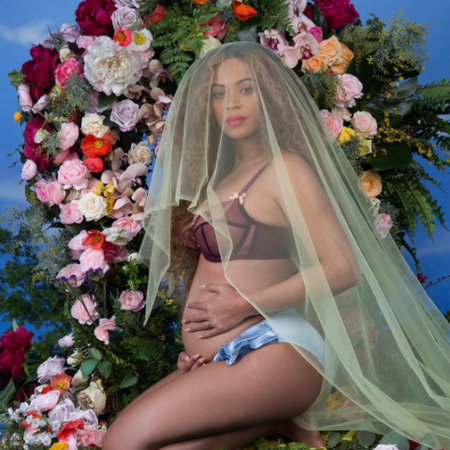 Singing sensation Beyonce's pregnancy announcement photo became smashing, iconic and chart-topping, most imitated either for fun or as a decent costume, hence it lands as the top two best Halloween costume on our countdown. Pennywise from 'IT" is the hottest Halloween costume this year and you'd definitely 'float' in this costume and be the scariest one too. And girls, don't worry you can pull it off too as all you need is the magic of that makeup brush. Many professional makeup artists have tried this look and going viral on Instagrams. Here's how you transform from normal to scary Pennywise. For more DIYs and interesting costume ideas, keep following our page! !